What Is Camera Array Photography? Camera array photography is when you use a number of cameras to freeze time and motion to capture a subject or movie mid-motion. This creates a bullet-time effect that can be made into a GIF or looping movie. New World Designs have been the industry and global leaders in Camera Array for the past 15 years. 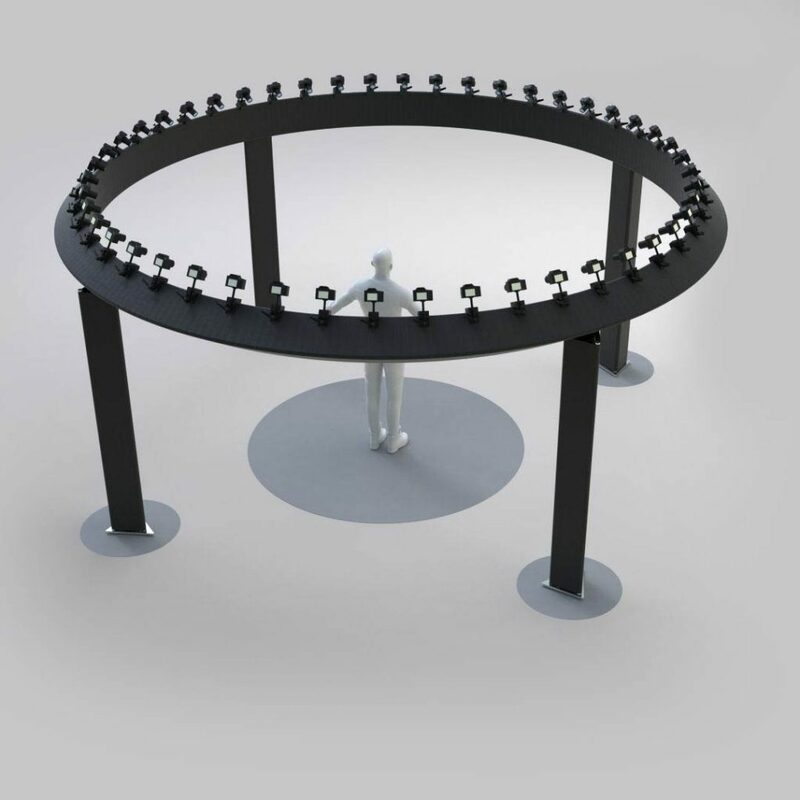 We built the worlds first Camera Array Experiential rig back in 2004. Our system comes in any number of cameras you need. Most commonly we provide 12, 24, 36, 48, 96 camera rigs. 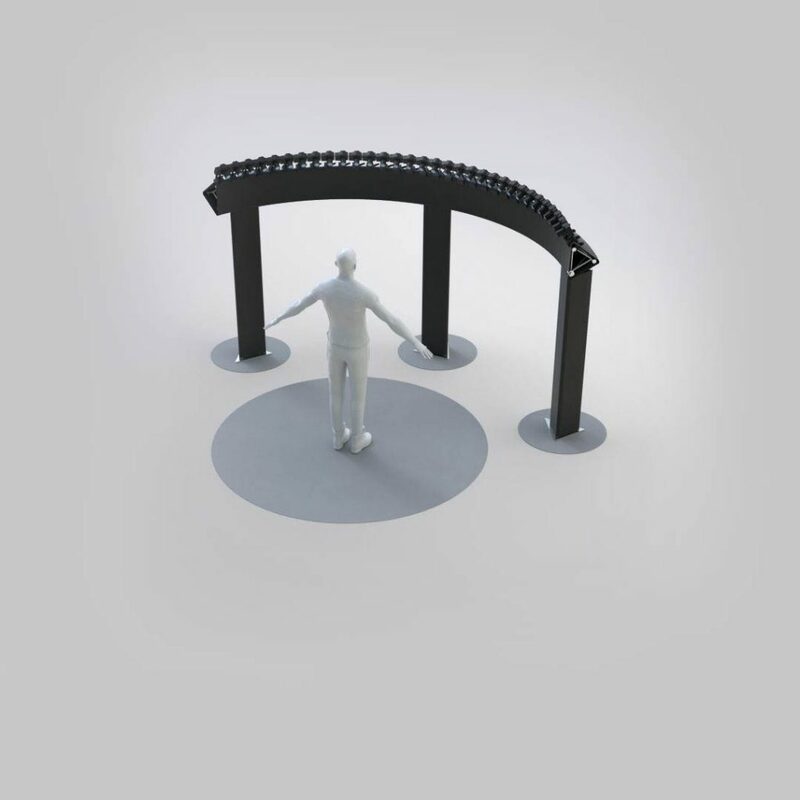 Our camera array rig is customisable, so just let our events team know what you require and we can build it. All of our camera array booths come fully manned who set up the rig as you require. The team man the rig making sure that your audience gets the best from the experience. They capture the image and have it available within less than 60 seconds. The team will also de-rig and supply all images to yourself or your client. 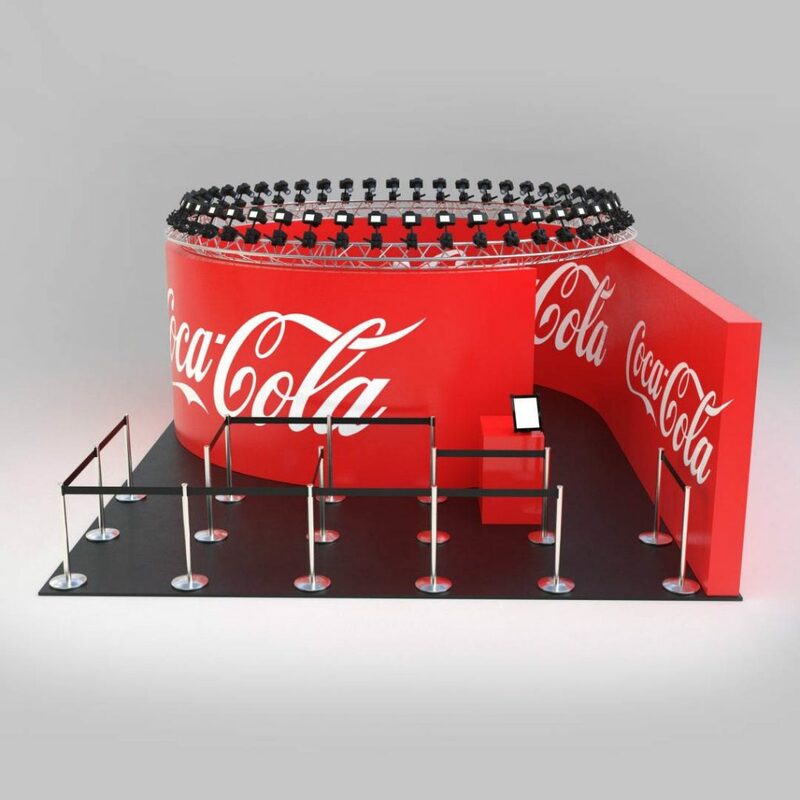 Making this the perfect experiential marketing asset you need for your corporate events and activations. Whether it is for an experiential event, corporate party or marketing event, we can create something that will fit in your space and brand it to suit. To get the best effect, we recommend using a full backdrop to your camera array rig. This creates that fully branded look that your audience can jump, dance, shoot confetti or do whatever they like in. Most importantly the GIF movie can be uploaded within minutes of the shot been taken.